Actually it's just a small town in Vorarlberg, Austria. 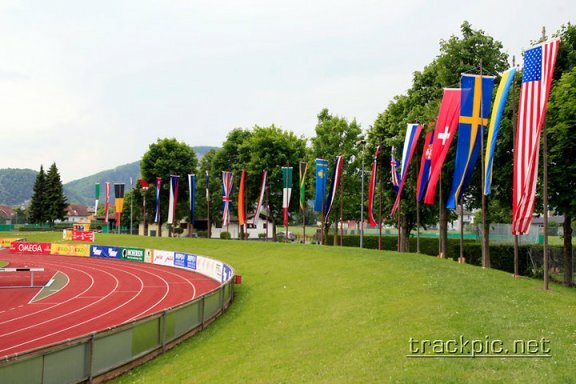 Once a year, in late May, it hosts the most famous of all decathlon meetings, the Hypomeeting. It's probably the oldest one (first meeting held in 1975), the "Mecca of decathlon", with the world's best athletes coming there every year, together with spectators from all over the world. World class performances are the rule, for example the 9000 points were reached here for the first time in 2001. In contrast to big events you are very close to the sports and to the athletes. That's why we keep returning there every year!